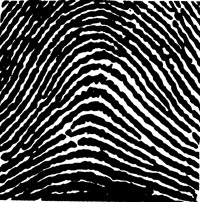 > A fingerprint is an individual characteristic. 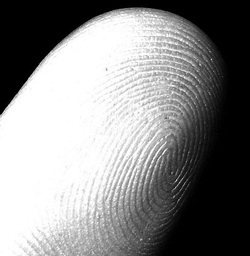 No two people have the same fingerprint. 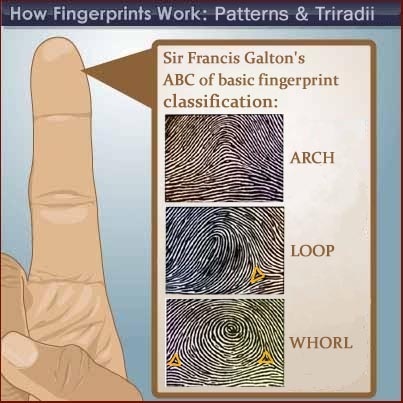 > A fingerprint is made of a series of ridges and valleys on the surface of the finger. 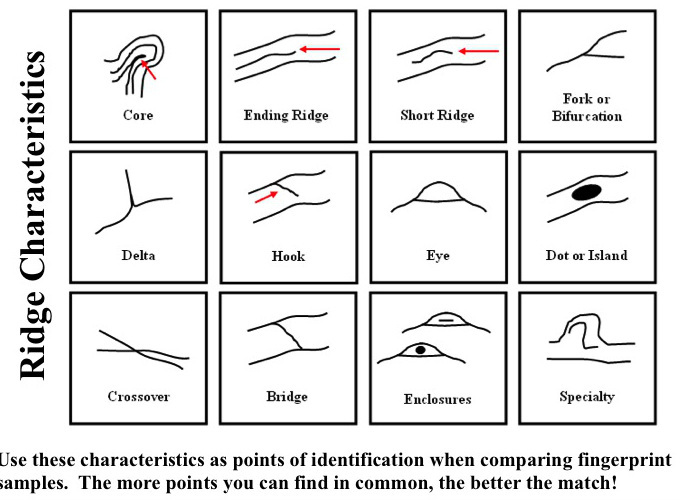 The uniqueness of a fingerprint can be determined by the pattern of ridges and valleys as well as the minutiae points, which are points where the ridge structure changes. > When minutiae on two different prints match, these are called points of similarity or points of identification. 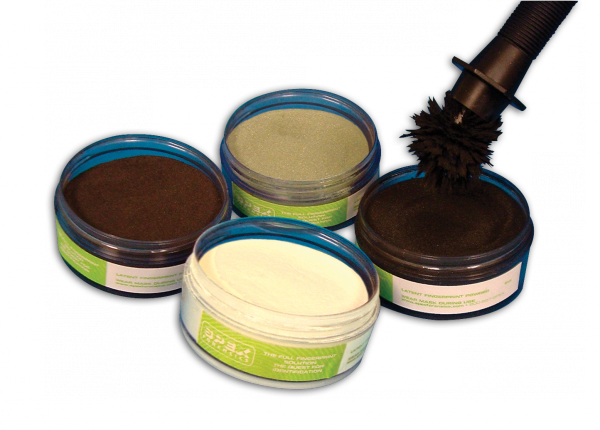 At this point there is no international standard for the number of points of identification required for a match between two fingerprints. However, the United Kingdom requires a minimum sixteen points while Australia requires twelve. Ridges enter on one side and exit on the other side. but has a spike in the center. Loop opens toward right or the ulna bone. Loop opens toward the left or the radial bone. Whorls have at least one ridge that makes (or tends to make) a complete circuit. They also have at least two deltas. If a print has more than two deltas, it is most likely an accidental. 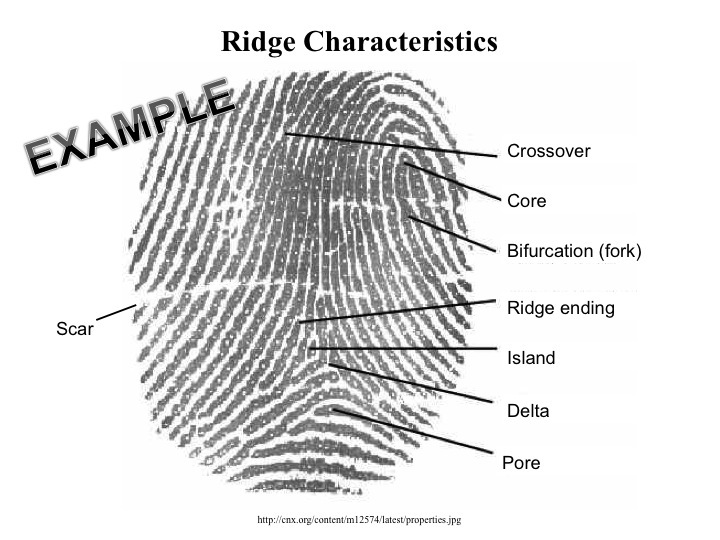 Along with the identification of patterns, fingerprint experts examine the ridge characteristics as well. 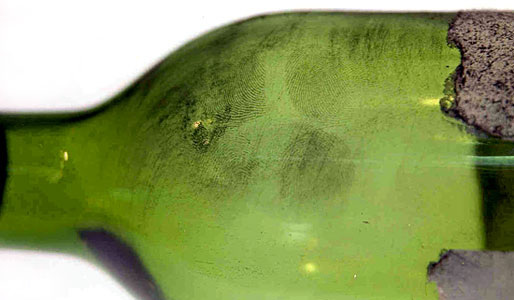 > Latent prints are impressions left by friction ridge skin on a surface, such as a tool handle, glass, door, etc. 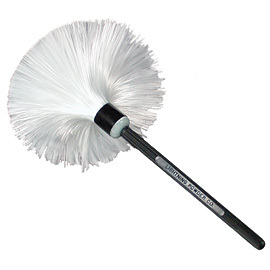 > Prints may be collected by revealing them with a dusting of black powder and then lifted with a piece of clear tape.